It's time for the Big Ten Tournament. You already know who's going to win every single game if you read this smart guy's predictions (and not those of this questionable prognosticator), but I'll give a brief preview for this game anyway. If they play like the same Boilermaker team that showed up in the last three games, Purdue will win handily. 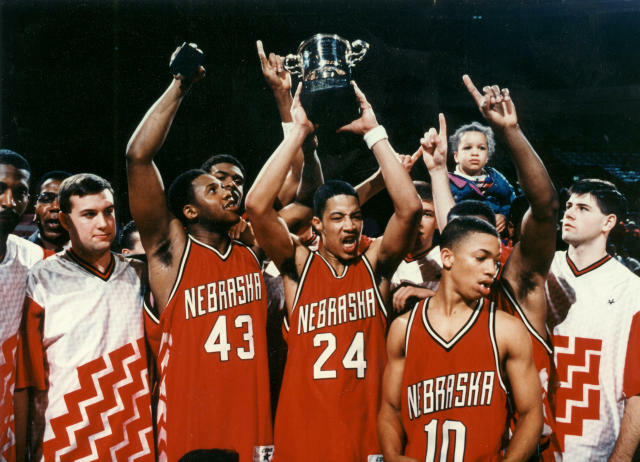 They say it's tough to beat a team three times in the same season, so maybe the Boilers are lucky they only faced Nebraska once this regular season. That game saw the good guys win by nine points on the road, so history is in Purdue's favor, too. The Huskers aren't ending the regular season on any kind of hot streak, but they have played some good teams tough, namely a nine point loss to MSU and a seven point loss at Illinois. They also beat Minnesota for a marquee win a week ago, but now we know that isn't so special. However, when they lost to Purdue earlier this season, Nebraska was missing senior Brandon Ubel, the teams third-leading scorer and leading rebounder. Maybe he'll be the difference. This team featured three NBA players: Erick Strickland, Mikki Moore, and Tyronn Lue! There isn't a hidden storyline here. We all know that if Purdue has any chance of making the NIT, the need to win this game. Heck, they may even need to win it to get invited to the silly CBI. That means that if the Boilers lose, the season is over. Let's not end on the note of losing a game we're strongly favored to win, but it's also scary that the Boilers could easily get caught looking past Nebraska to the Buckeyes waiting in the wings. Our Picks - We like to think we're better than Vegas. So throughout the season, we'll be "betting" a whole dollar amount versus the spread. For the post-season games, we are each allowed to bet any value that is a sum of two jersey numbers from the current team's roster. Once we select a player's number, we can't use it again. The spread for this game is Purdue by 5.5. 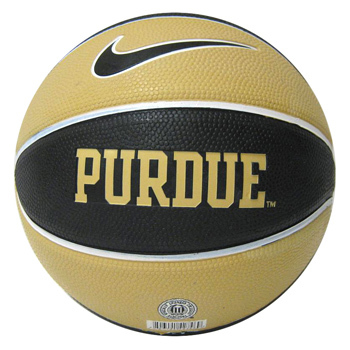 Kirk's Pick: Purdue 67 - Nebraska 60. I think this is the biggest game of the year - win and there's almost no way we don't make a post-season tourney. Lose, and it not only kills the excitement built up about the team's future, but we become a much less exciting team to pick for a tourney. Win this one and play tough against Ohio State and the fanbase won't be able to contain their excitement for next November!